Special Event! Receive free movie passes to the screening of Jumanji on Monday, December 18th right above us at the AMC theater in Town Square. Family Day Open Studio! 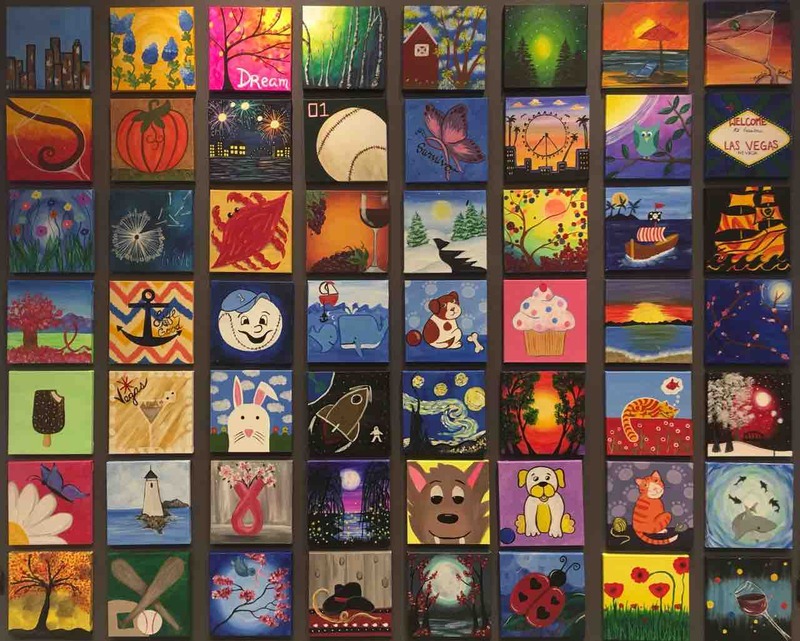 We have over 50 self-guided paintings that you can paint on a 10"x10" canvas any time between noon and 4:00 p.m. Anticipate 1 hour to complete your masterpiece so please arrive no later than 3:00 p.m.
We have a great variety of paintings suitable for adults and children alike. The whole family is welcome to paint but due to the nature of our classes, and for the enjoyment of our guests, we cannot accommodate babies or toddlers. Children under 13 must be accompanied by an adult. A professional artist will be here to provide assistance as needed. Sorry, no discounts on this class.